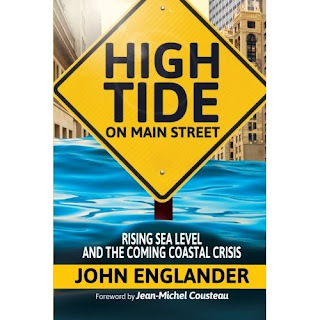 I have first hand knowledge of what John Englander is writing about in his book High Tide on Main Street. 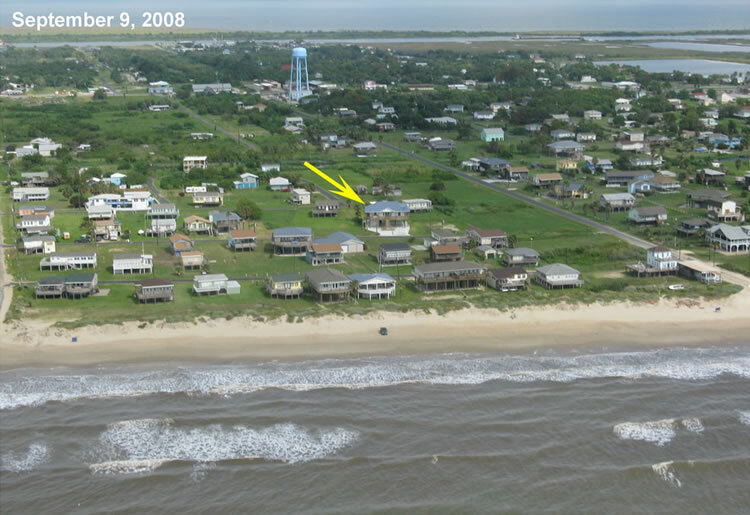 As a real estate broker and property owner in Galveston, Texas for the past 20 years, I have seen homes 2 blocks away from the ocean become beachfront property. The joke in many beach towns is “buy 3 blocks from the ocean because within 10 years you will be beachfront.” The same thing is happening in Florida and all other states that have a coastline. What John Englander is talking about in his book is not a description of a possible future in a far away land; he is talking about here and now. 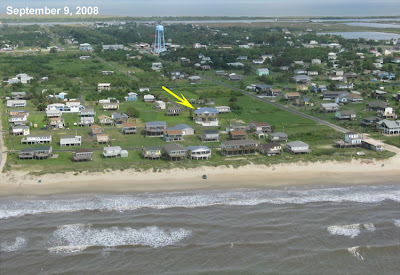 Where a homeowner once had a prime piece of beachfront property, they now own the land the waves crash over. It is real estate litigation at its worst: the government against the homeowner determining who now owns the land. The post-Sandy reality for many families will not be a question of when and where to rebuild but be a no-rebuilding-allowed option.. The physical displacement of the coast and the homes that once stood there is heart wrenching, but they make up only one side to this story. There is the obvious economic side of rising waters and natural disasters, and this is the side of the equation that gets touchy. If you don’t live in one of these areas, you have to ask why anyone would take the financial risk of building in an area that could flood. The answer? The government encourages it with your tax dollars. You and fellow taxpayers are the ones paying the bill. You see, taxpayers are subsidizing a stranger’s luxury of having a home on beach or that lake front view. These homes are insured by the Federal Government through National flood insurance programs, and in some states like Texas, they are further insured with state taxpayer subsidized plans called Wind Insurance policies. Both are available at a hugely discounted rate. Why is the government in the insurance business? Because Insurance companies would never take such a high risks because they know there is no question as to if they would have to pay. They are just watching the weather channel, waiting for the next big storm, and are glad they don’t have to pay pick up the tab. So why have the values of these properties that are prone to hurricanes and flooding not gone down? Well, the answer is: it depends. If you are in an area that is subject to flooding and requires the federal government to insure your property, values are typically less. The exception to the rule is beachfront property. After each natural disaster, the supply of these lots diminishes, and when you are wealthy and the federal government is subsidizing your insurance, you are in a no lose position. As these premiums go up, the effect will be felt in the non high-end properties, making there values decrease. A $1000 premium increase in insurance does not affect the $2 million dollar home but does effect the $250,000 home. And if the Federal government ever decides to get out of the insurance business, these properties will instantly drop in value. It will be the equivalent of owning property with toxic waste. II was curios why cities and states don’t do something to prevent or try and minimize the flooding. 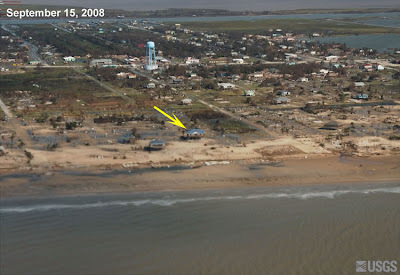 They can’t control the sea level so why not try and reduce the damage. Most municipalities after a storm like Sandy are so concerned with getting life back to normal that any future planning for prevention is put on the back burner. After storms and floods, infrastructures are repaired in the fastest possible time table with little thought to the future. 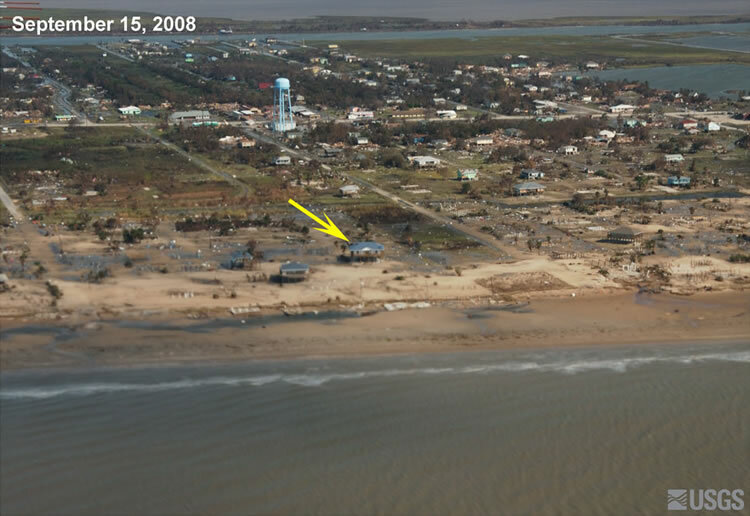 After Hurricane Ike, Galveston, Texas realized they had to do something. They spent over $250,000 studying prevention plans and for a city of 50,000 that is a huge expense. These studies developed in a proposal to build the “Ike Dike” to reduce storm surge impact on the island. After Sandy, Galveston no longer believes it will be a recipient of any protection from future storm surges because the federal government will protect more ‘valuable’ cities. Why should local govt. invest in research that the fed will use to protect other cities? They can’t afford it. While the current news about Sandy is all about meeting the basic needs of East Coast residents, in a few months, a new issue will be making headlines. It is an issue that most southern coastal states have had to deal with because of the hurricanes in the past years: the rising tide. The tide rising is not something in the far distant future; it is here. The infrastructure and prevention side needs to be addressed because the affects on homeowners are already being felt. This is a great way for police and the residents to know what really happens in their town! I think college service should also take up this idea and write all the topics they write for, they can ommit the buyers name if they want to.